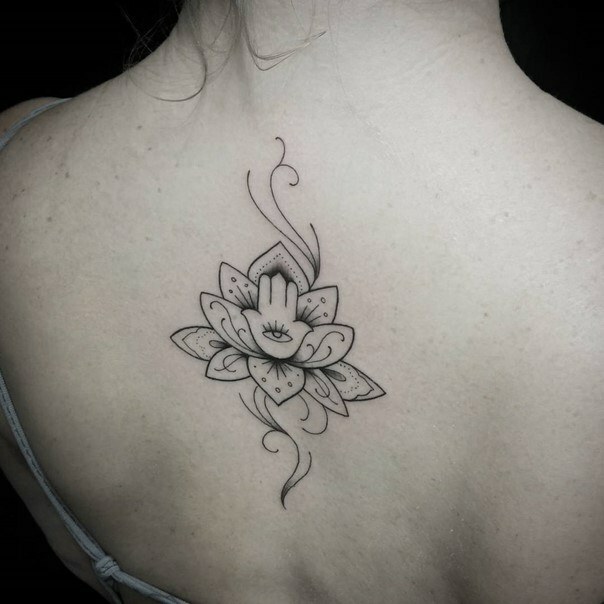 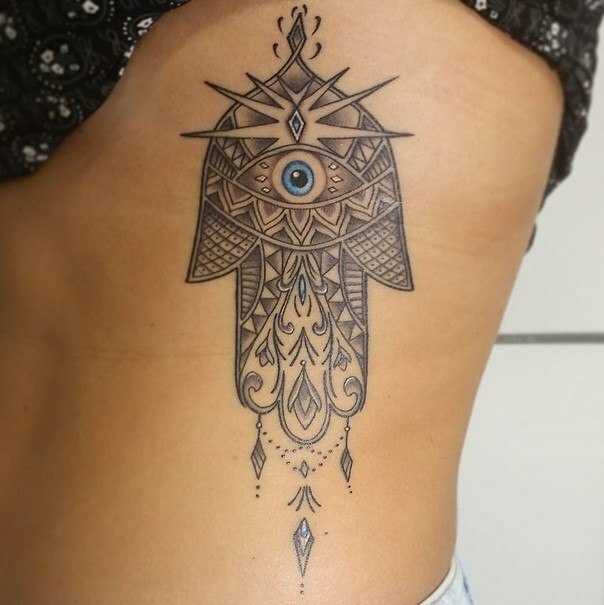 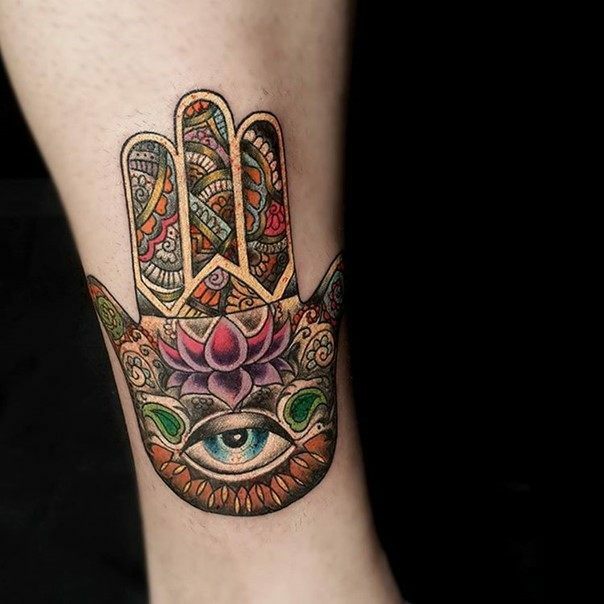 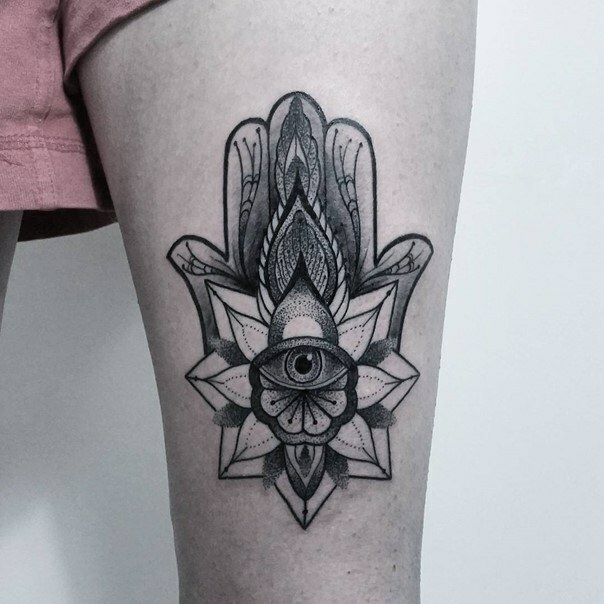 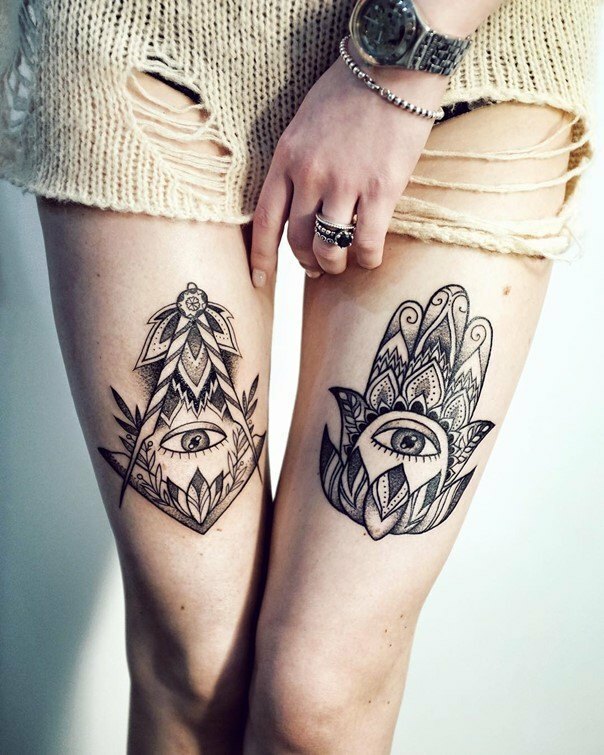 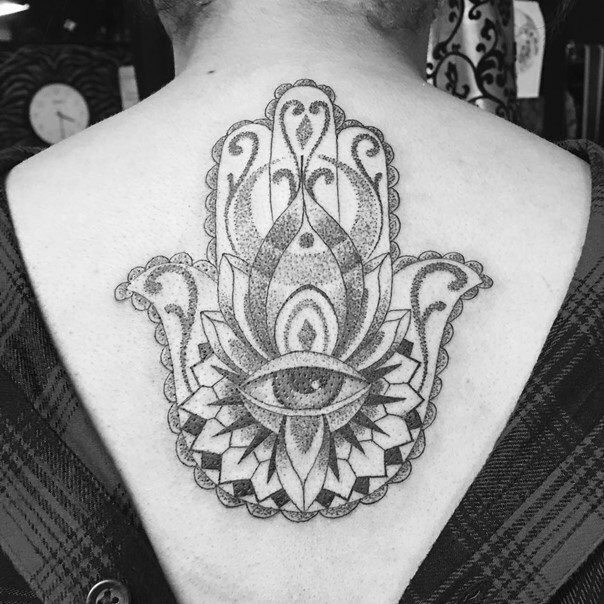 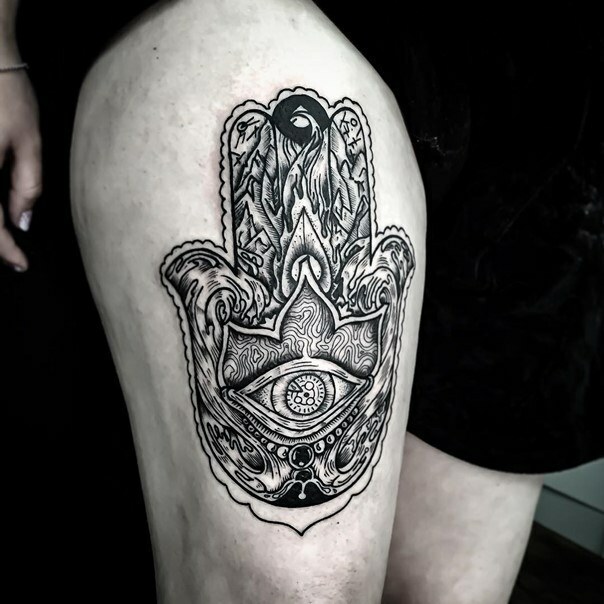 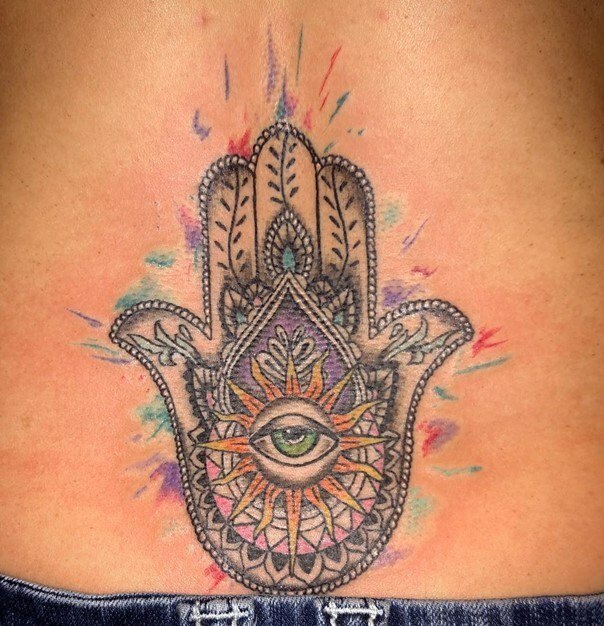 The hamsa hand tattoo is based on the symbols that protect againts the “evil eye”. 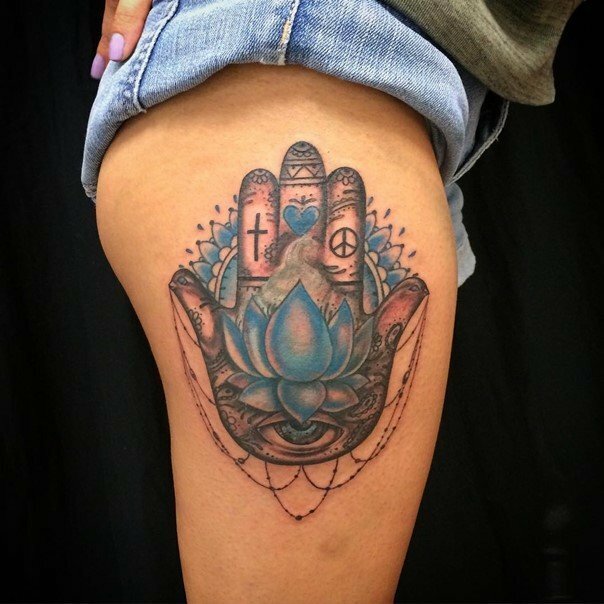 The bibical meaning for jews and christians is “the hand of Miriam” the sister of Moses and Aaron. 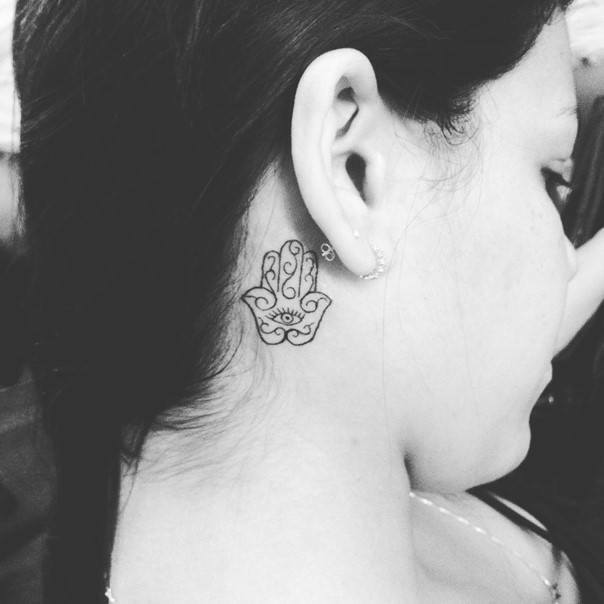 It is “protecting hand” or “hand of God”. 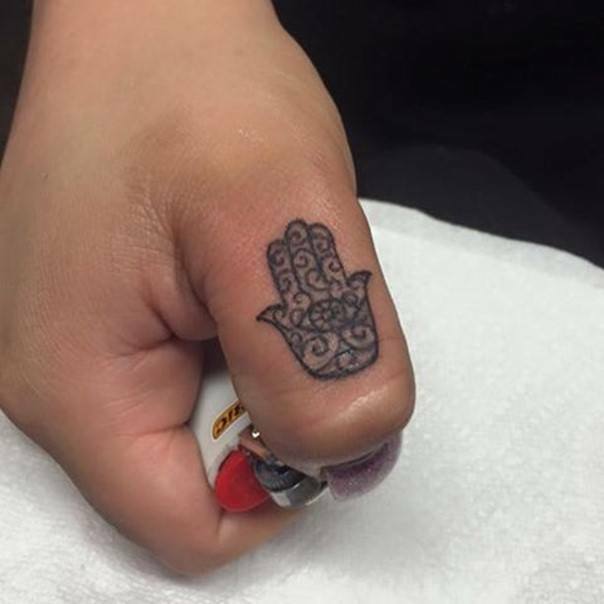 The islamic meaning is the hand of Fatima, the daughter of Muhammad. 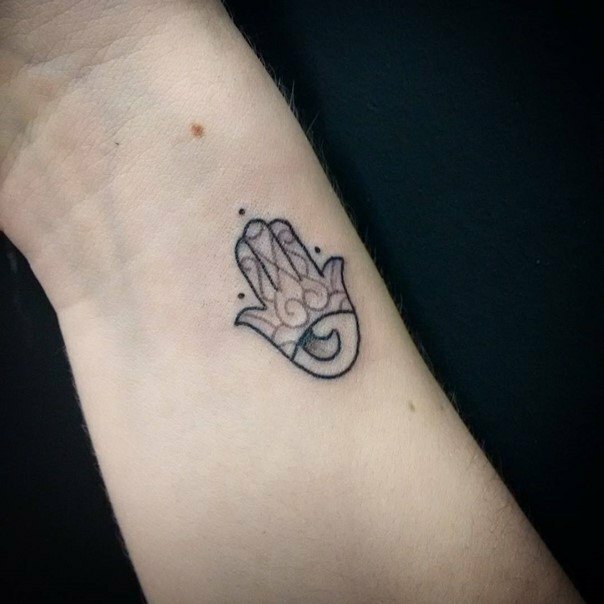 Another significance of the five fingers is the association to the five books for the Jews and Christians. 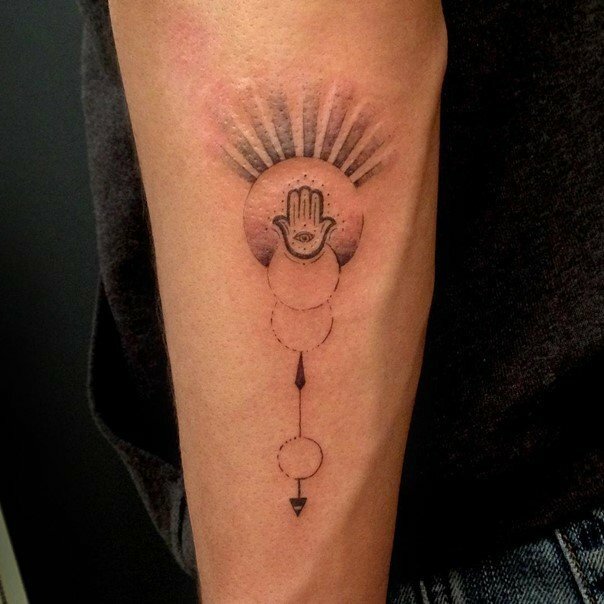 And the five pillars of Islam for the Sunnis. 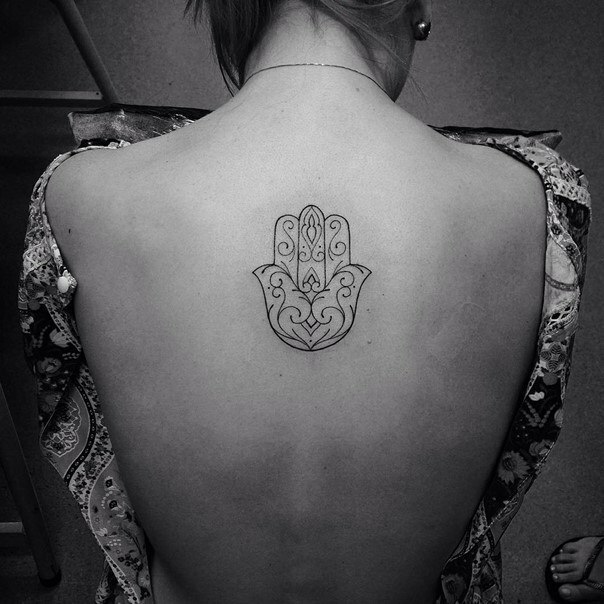 Archeological evidence suggest that the hamsa predates the 3 religions. 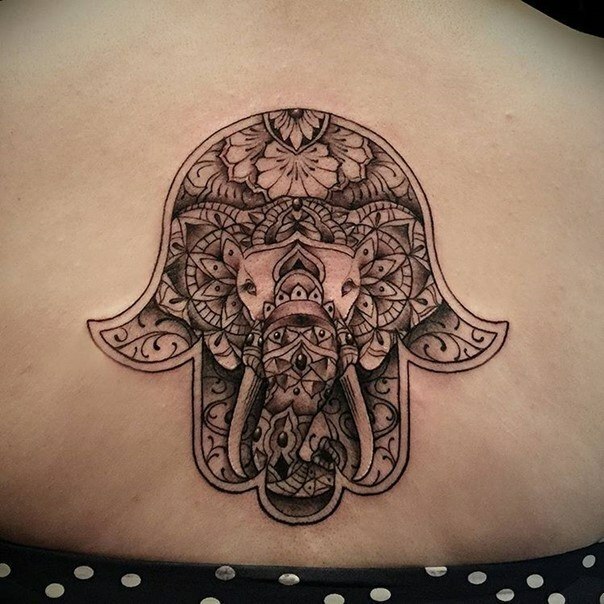 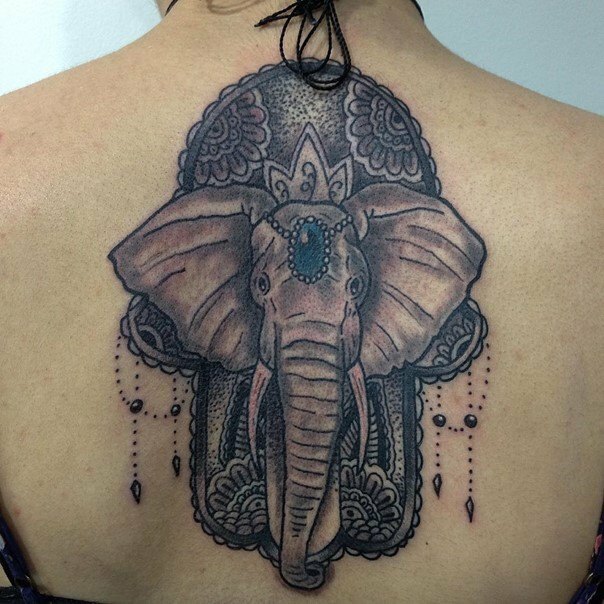 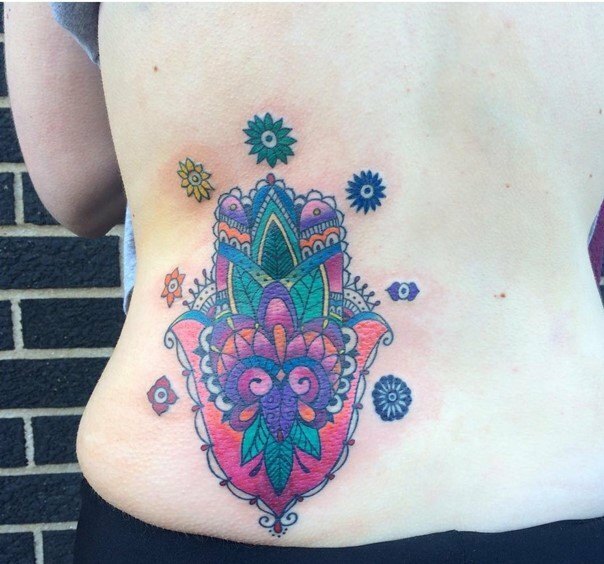 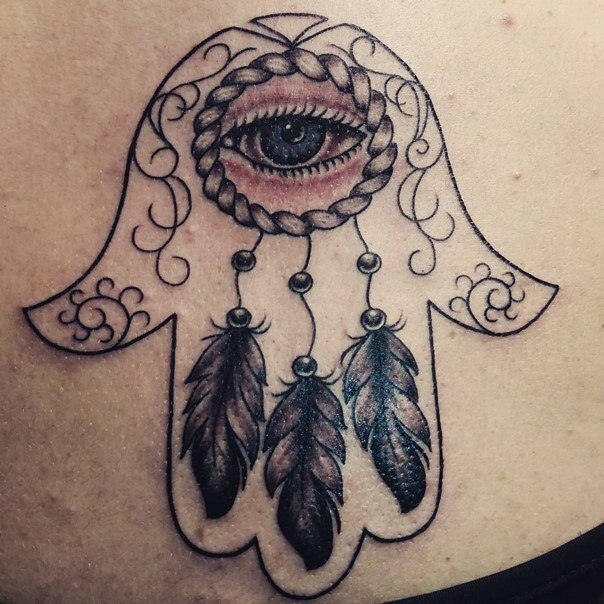 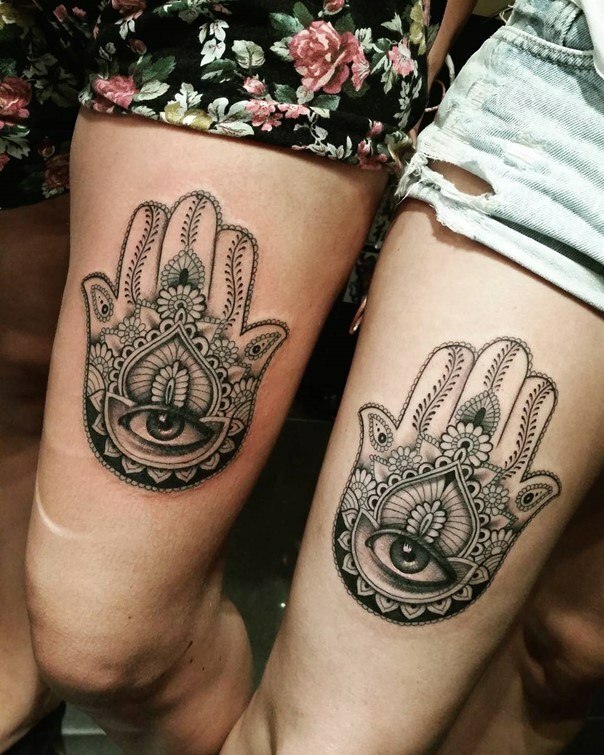 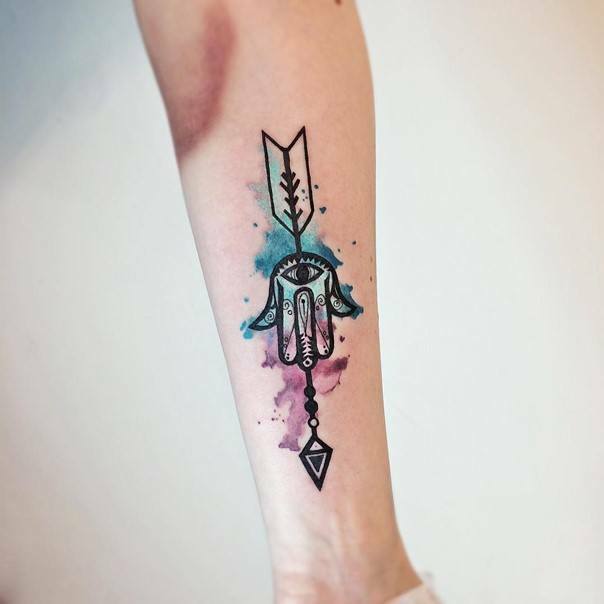 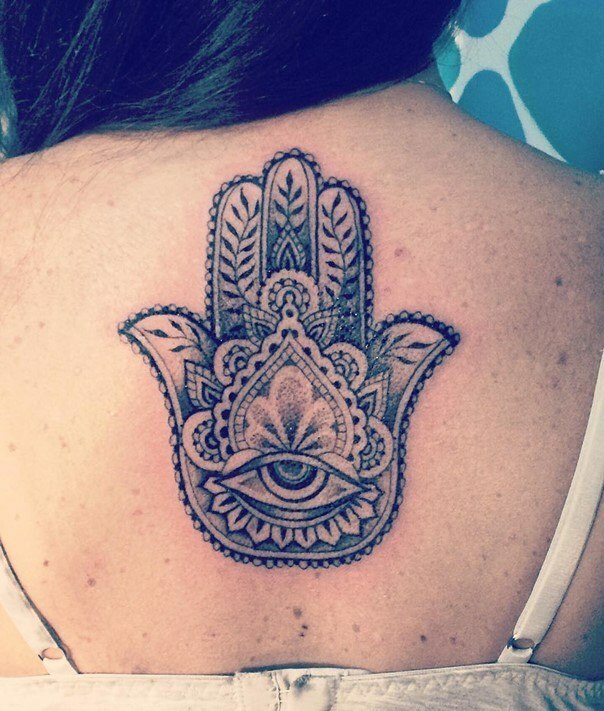 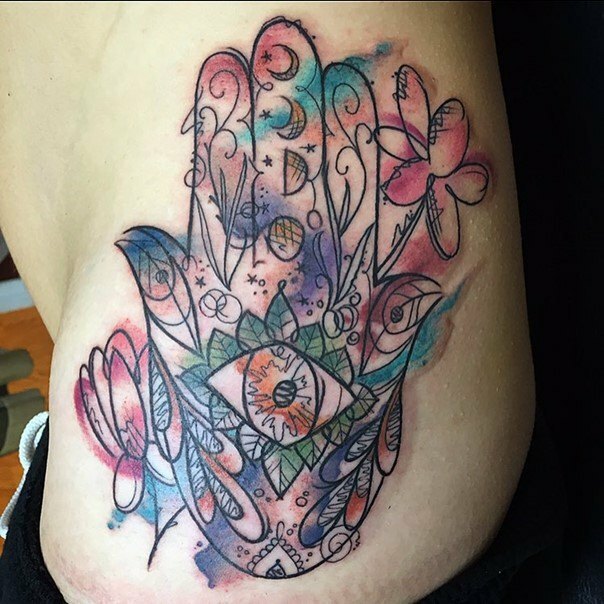 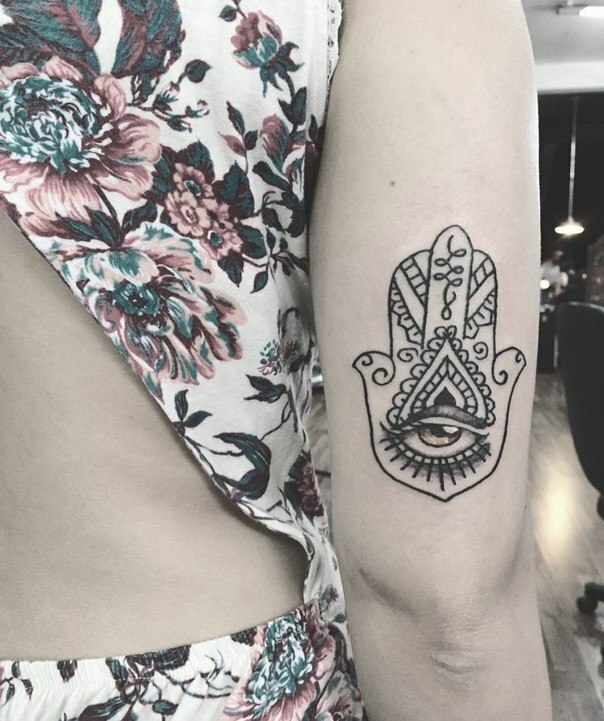 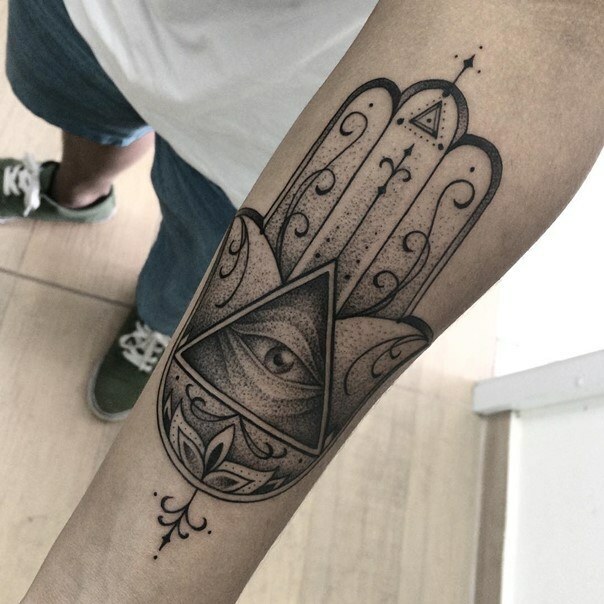 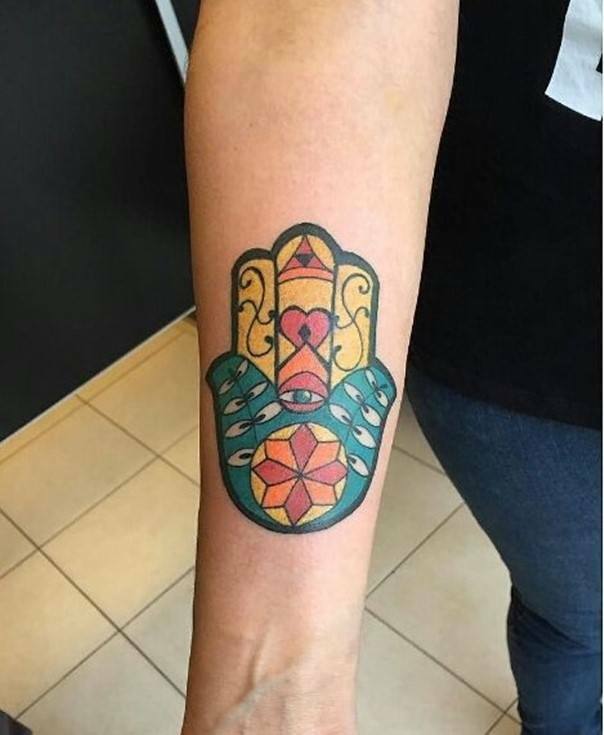 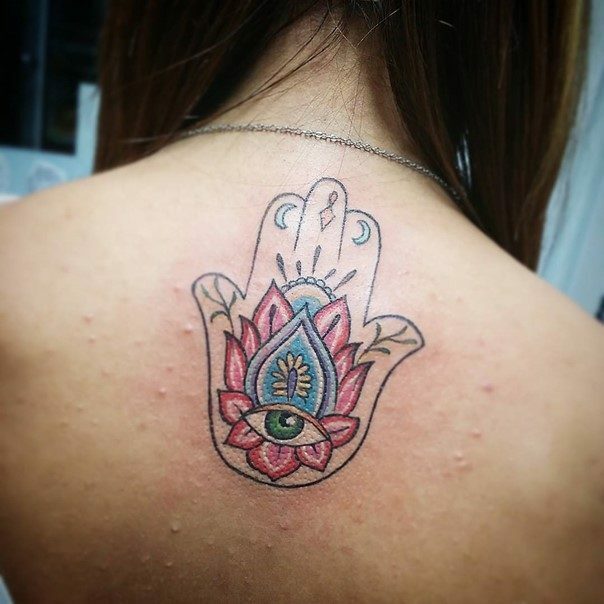 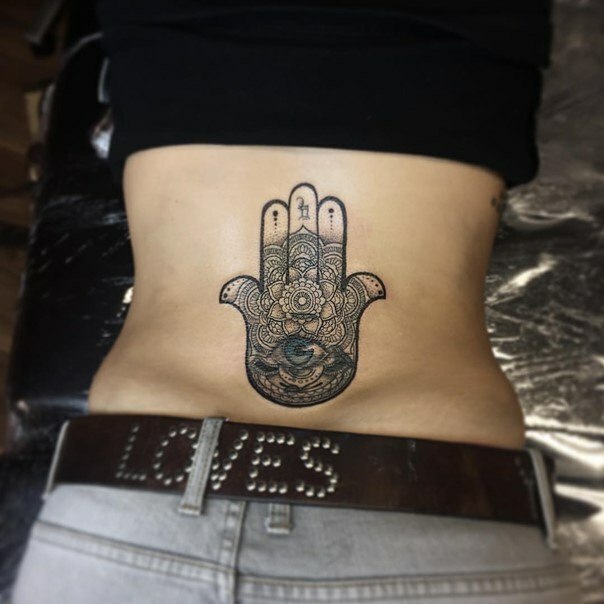 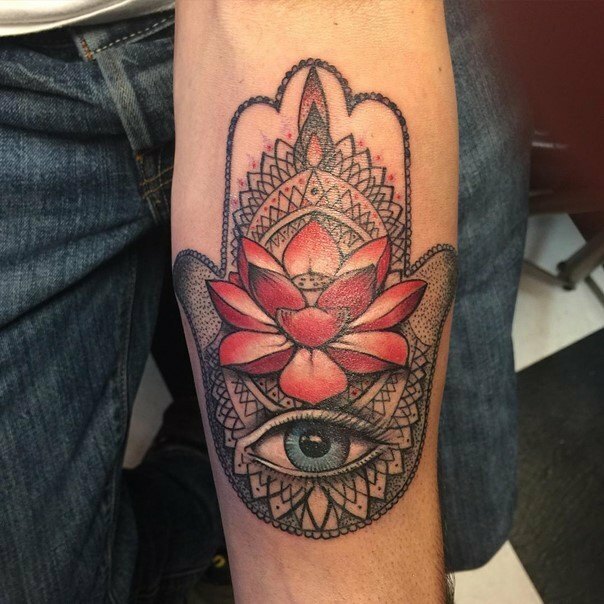 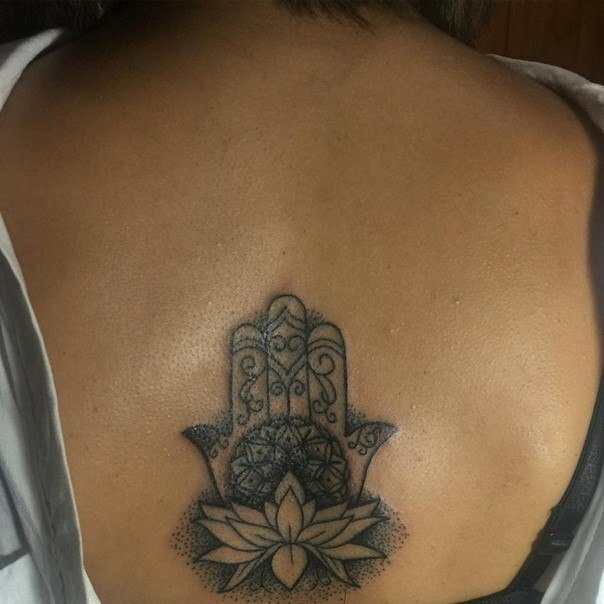 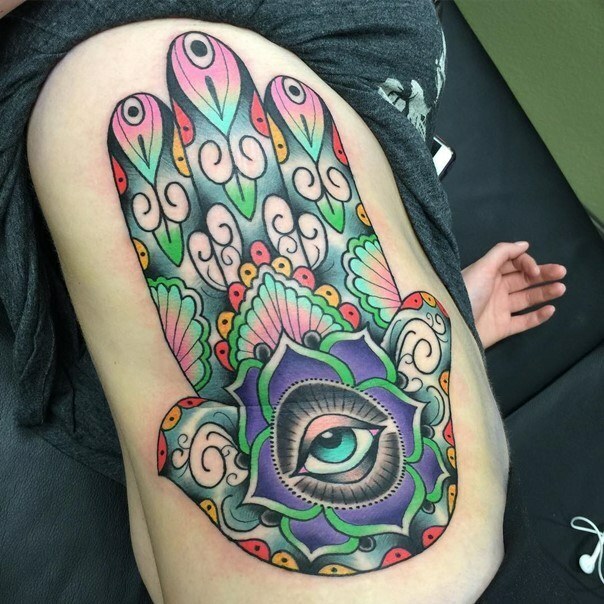 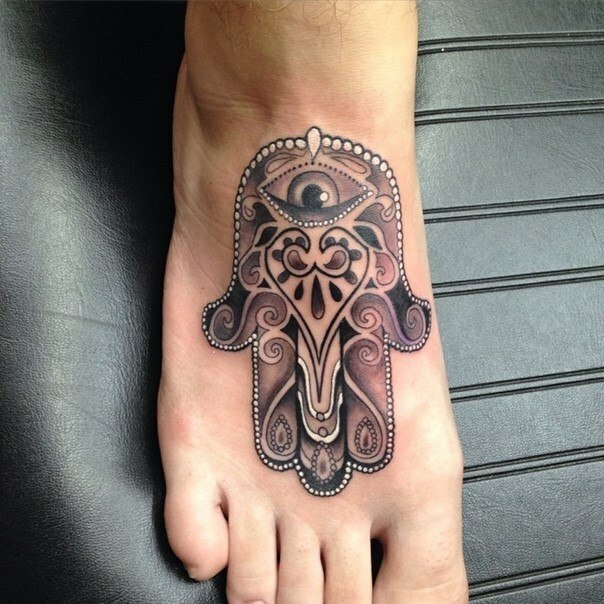 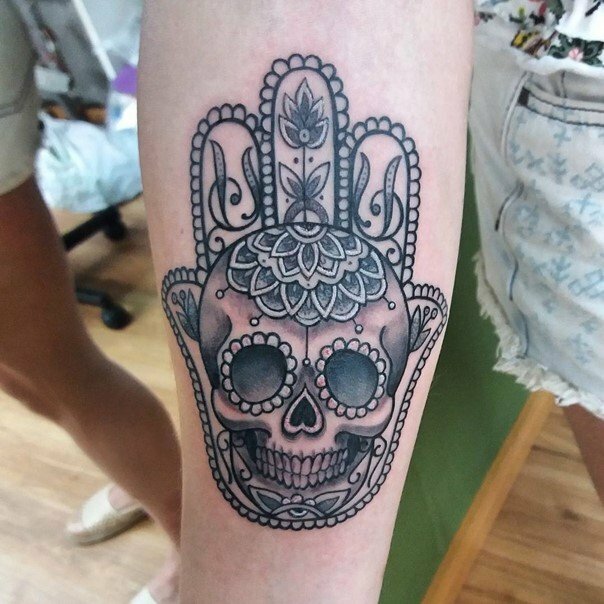 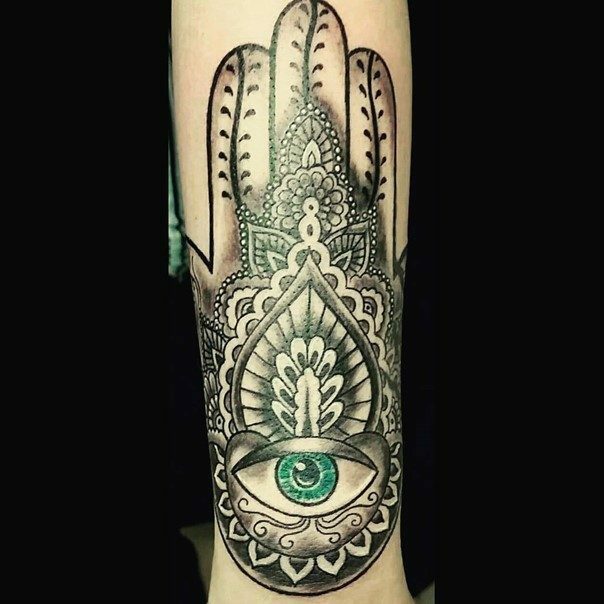 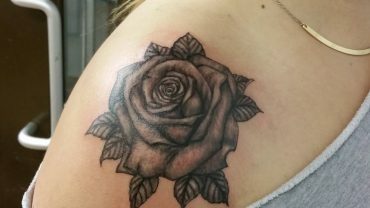 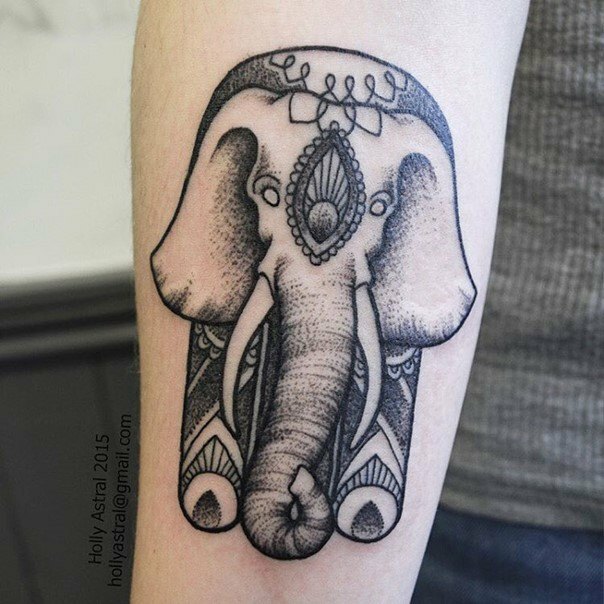 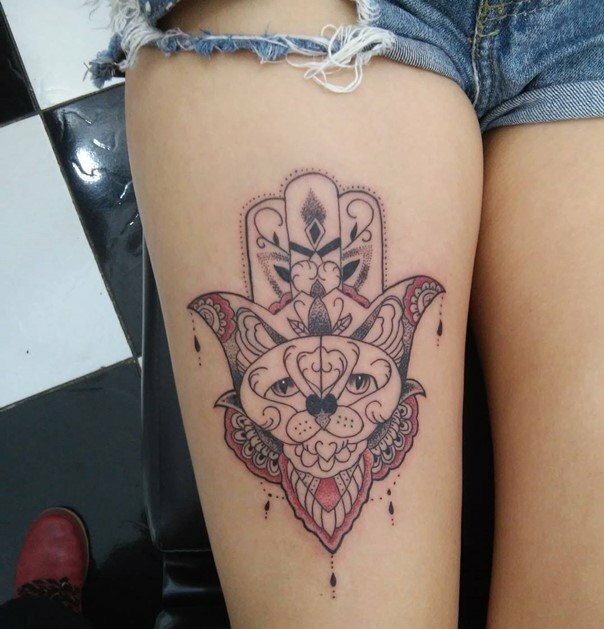 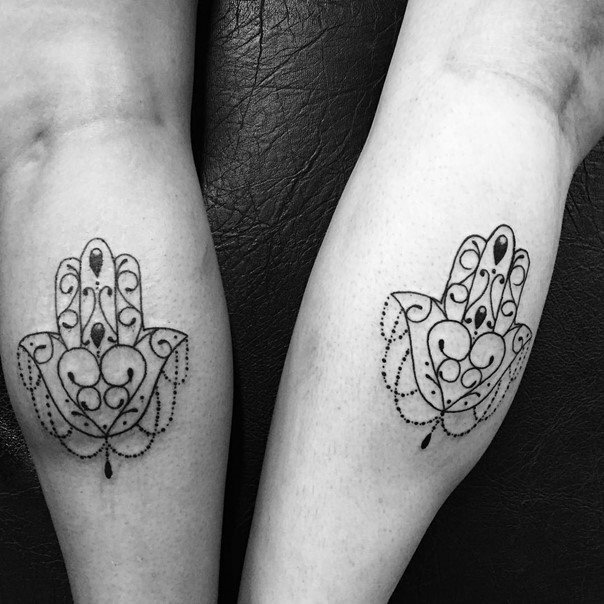 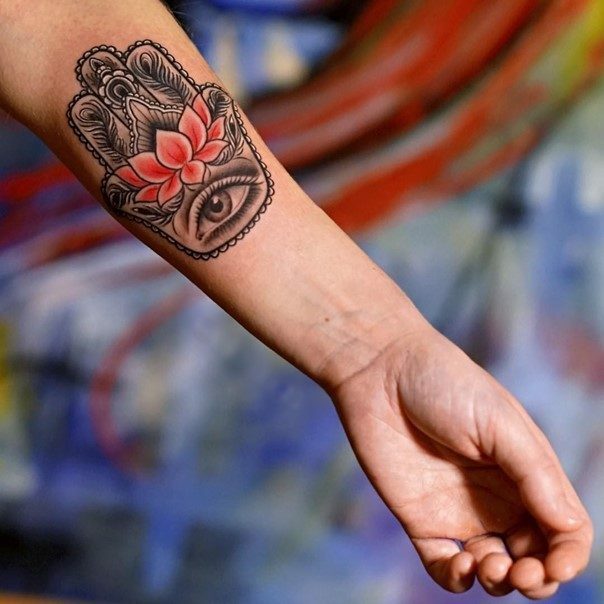 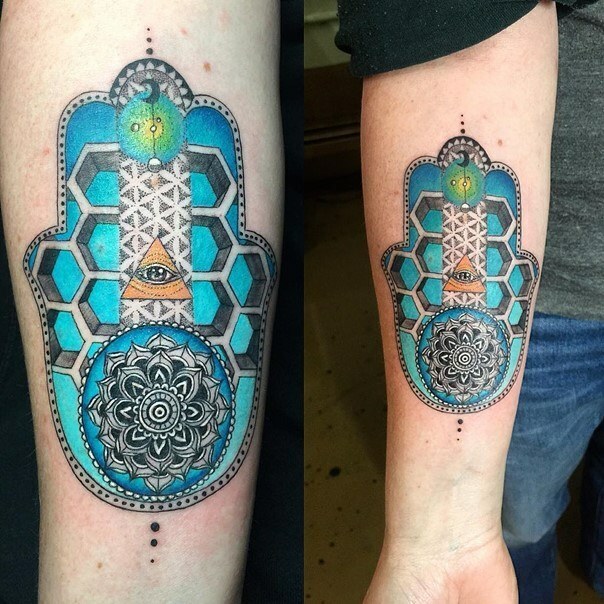 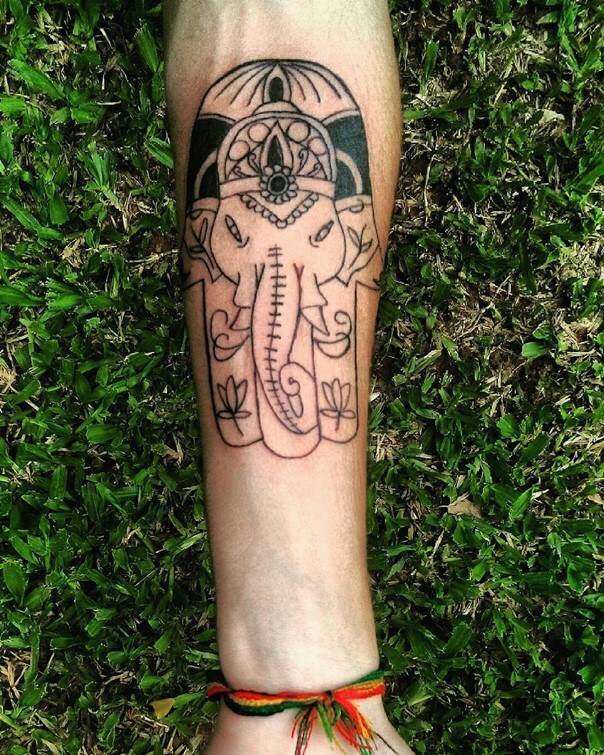 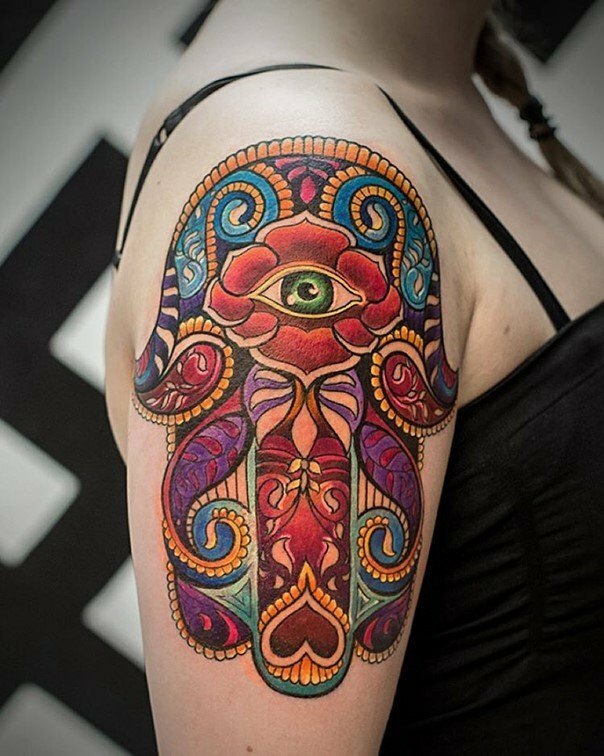 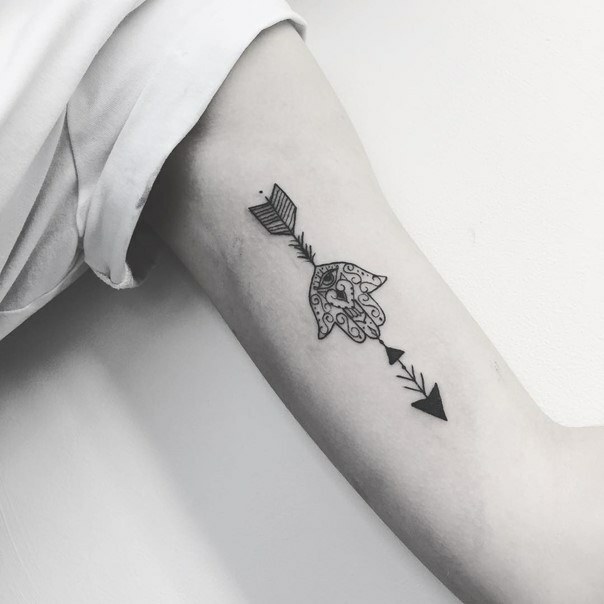 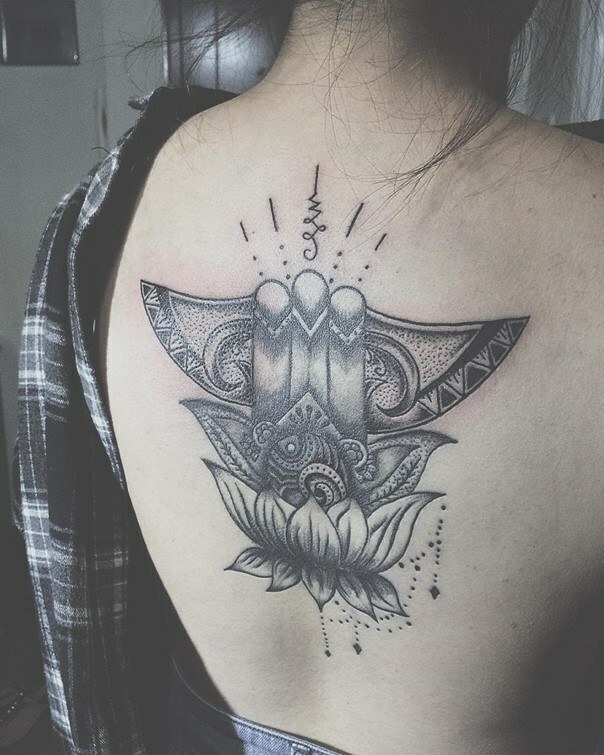 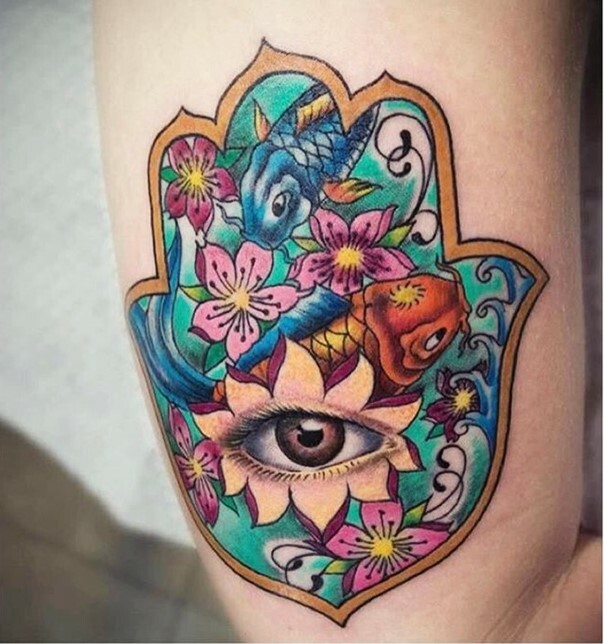 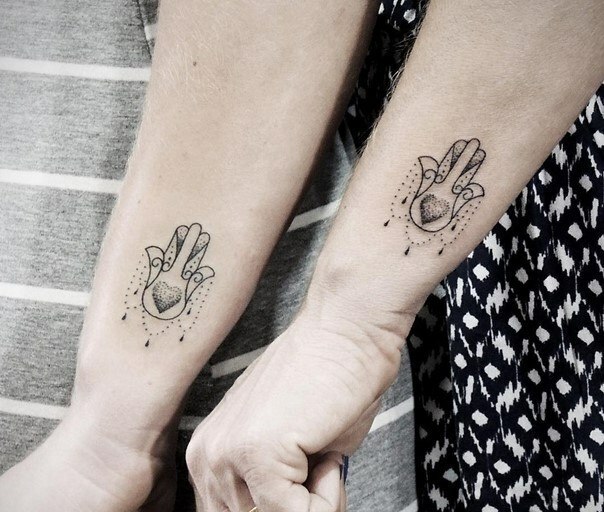 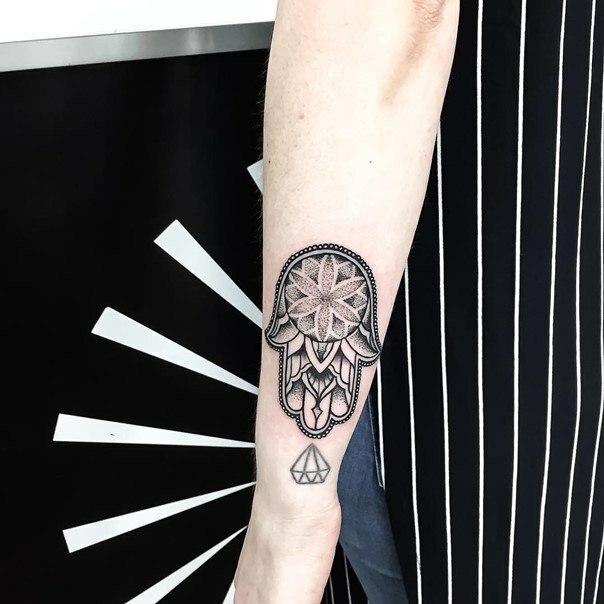 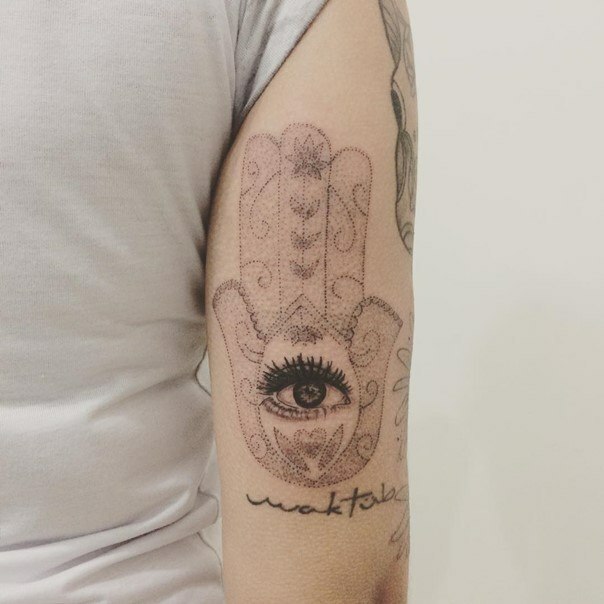 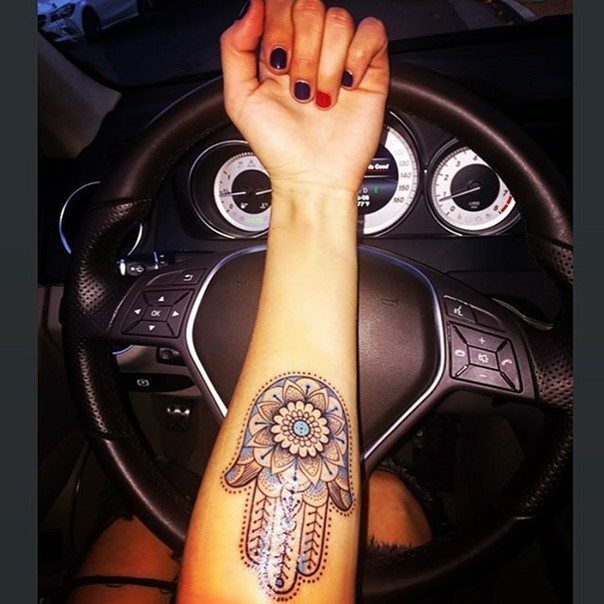 What does the hamsa hand tattoo mean? 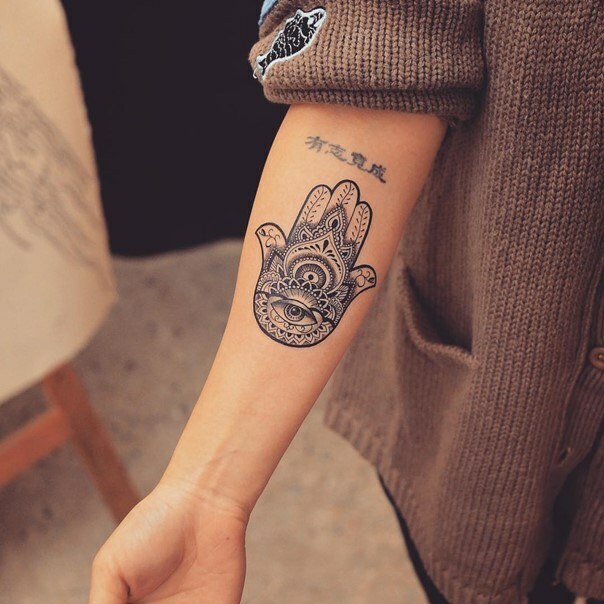 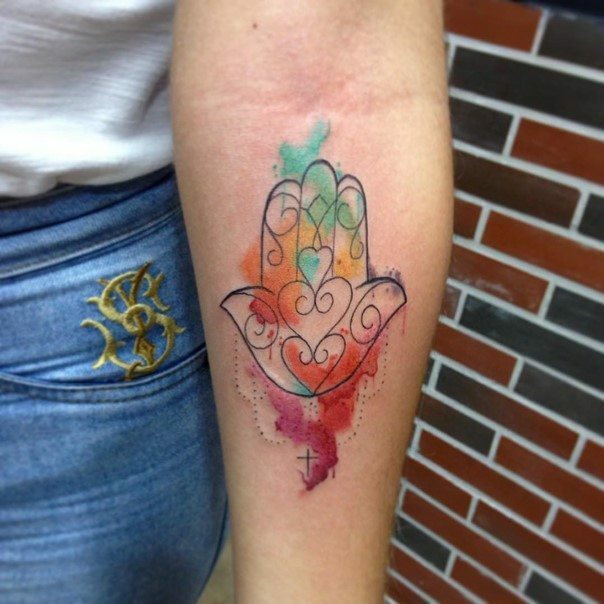 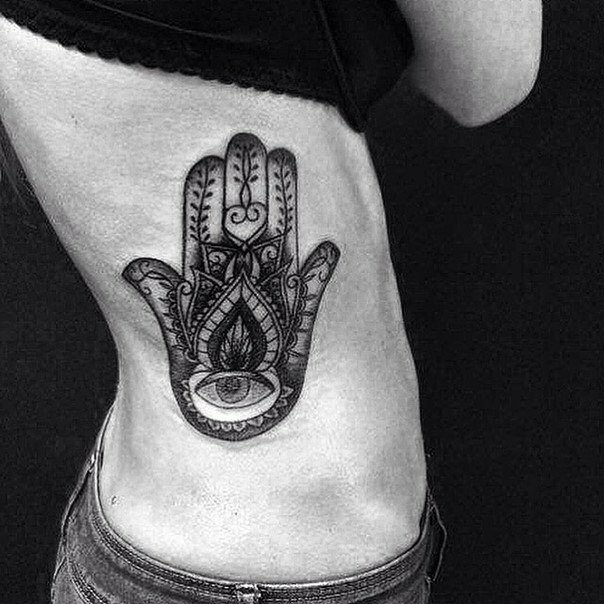 The Hamsa Hand ranges from an Eastern culture to culture as well as its meaning. 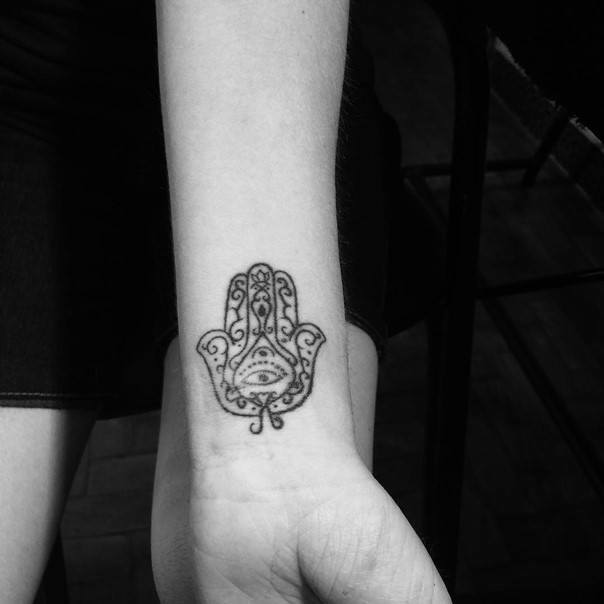 In general, people use the hamsa as a symbol of protection that is the blessing, power and strength. 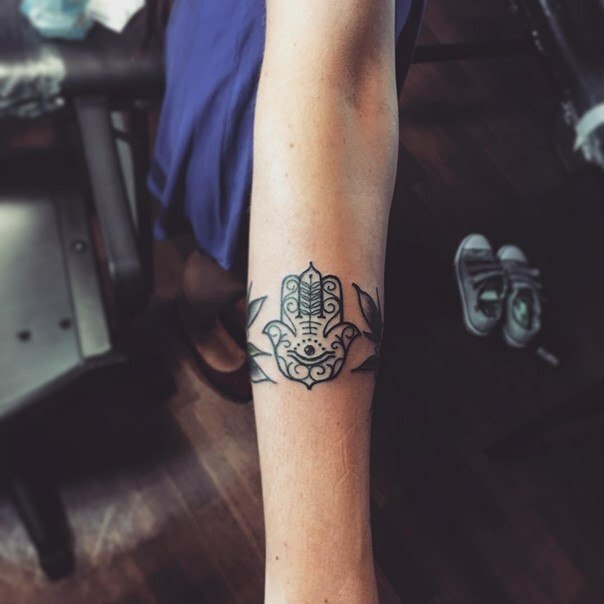 Its increased use is given as a charm that makes one who has immune to the evil eye. 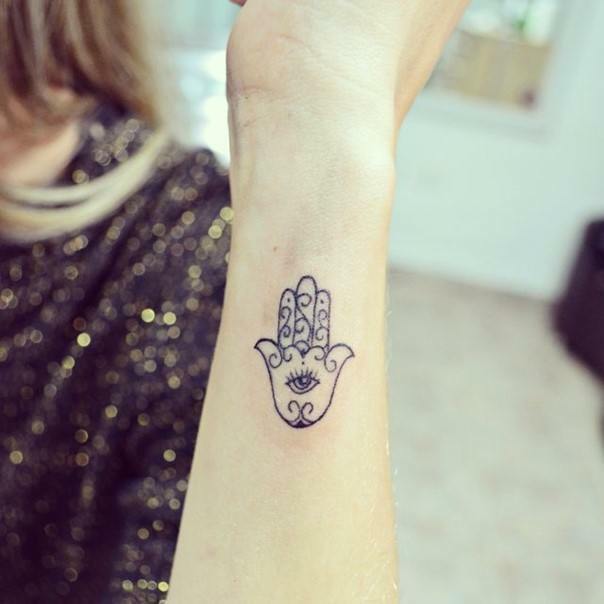 Hamsa or The khamsa, also known as the Hand of Fatima or Miriam, shown with the shape of the palm and is widely used in the Middle East and the Maghreb, to North Africa. 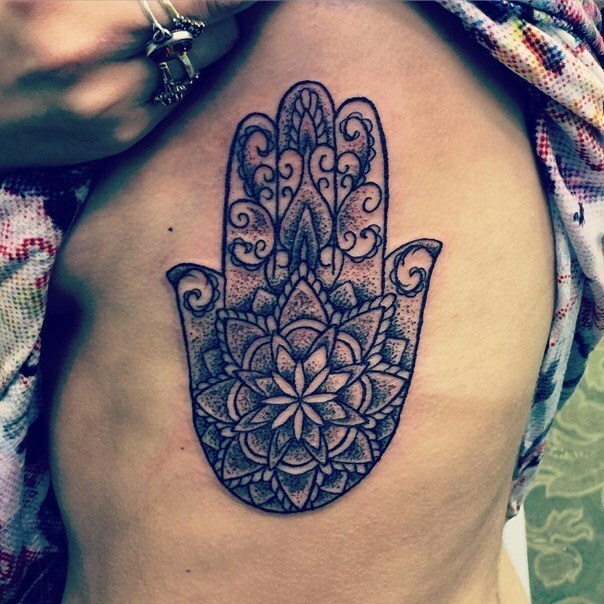 It is mainly used in bracelets and necklaces, or hung on doors and windows to ward off the evil eye. 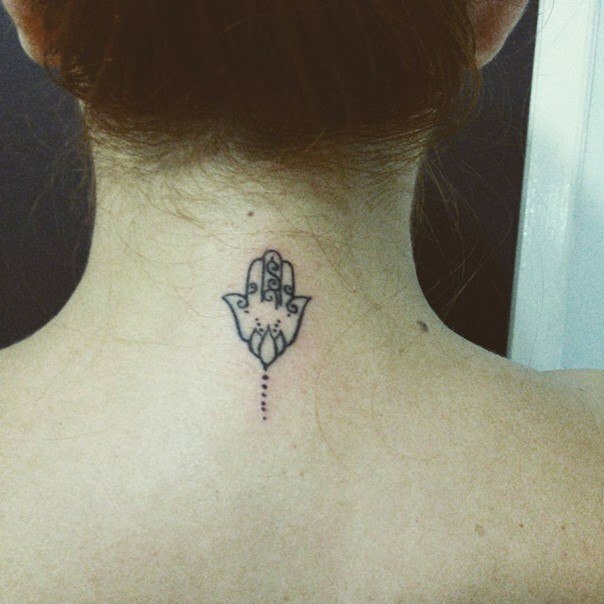 The origin of this amulet dates back to an era more remote than Islamic. 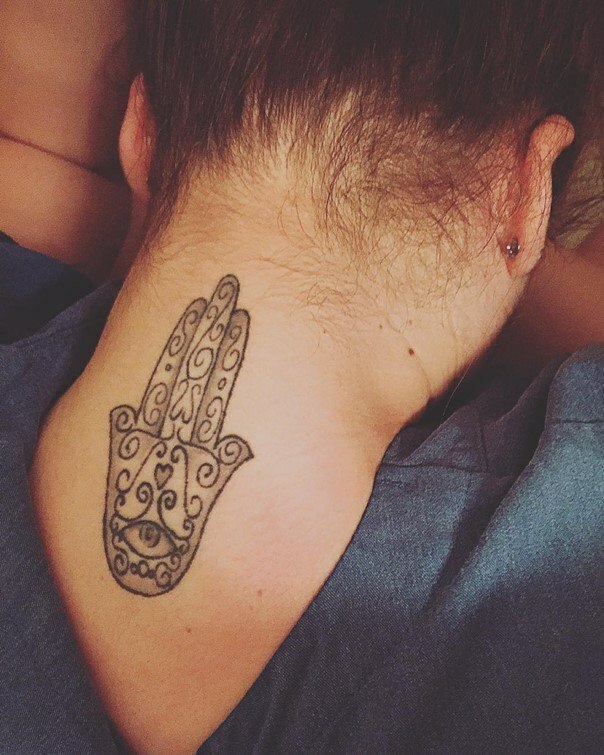 Although his name is Fatima – the daughter of the Prophet Muhammad – the archaeological discoveries show that the symbol of a hand turn down was widespread long before the birth of the monotheistic religions. 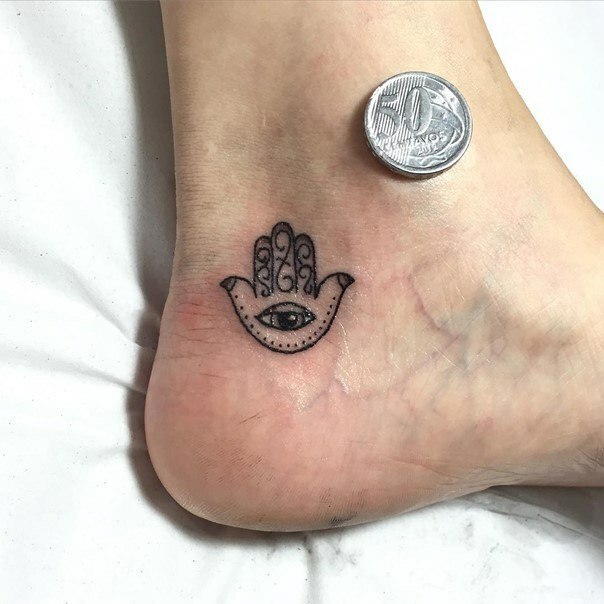 It should be noted that, despite the amulet is associated with Islam, a majority of Muslims consider the hand of Fatima witness of superstition that is in contradiction with the principles of religion : Islam prohibits the assignment of healing and protection to objects and their veneration. 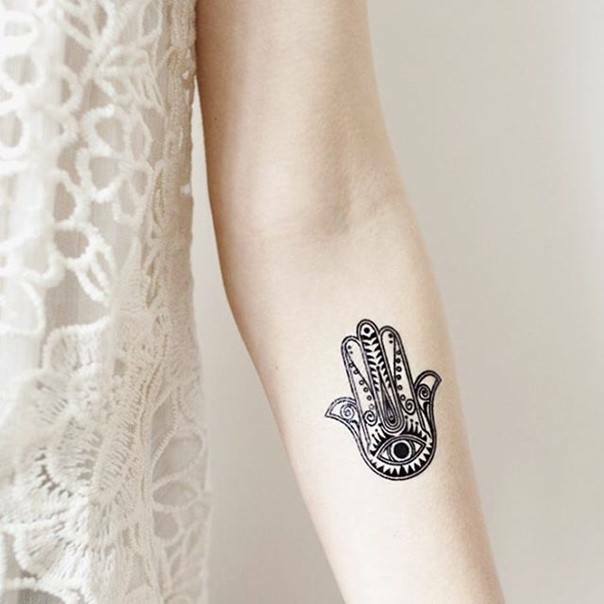 In some Arab countries, including Saudi Arabia – the cradle of Islam – this talisman is not used. 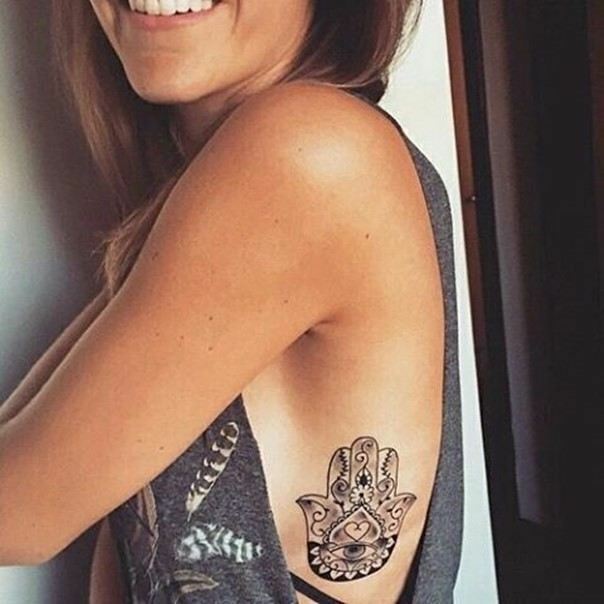 Many believe, in fact, the symbol belongs to the most popular culture Berber and Jewish sefaradica. 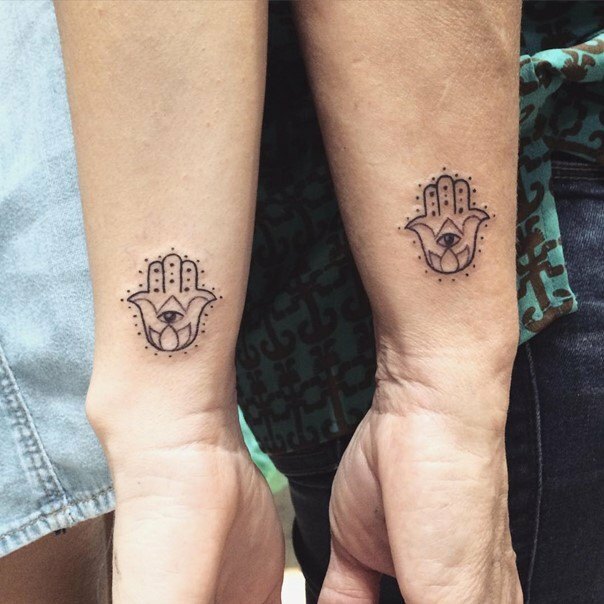 Nevertheless the hand of Fatima has an extensive use in Morocco and Algeria, where he became an accessory often used as a good luck charm in necklaces, bracelets and earrings, postcards and even tattoos.